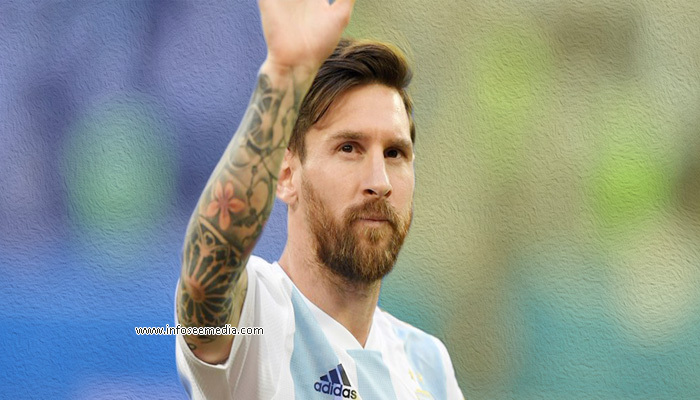 Lionel Andres Messi Cuccittini is an Argentine professional footballer who plays as a forward and captains both Argentina team and Barcelona Spanish Club. Messi was born on 24th June 1987 in Rosario Argentina. Messi is an argentine professional footballer. Often considered the best player in the world and greatest of all time. Messi is his country’s all-time leading goalscorer. At the youth level, he won the 2005 U-20 World cup. Messi joined the Rosario club when he was six years old. At the age of six he played for newell’s. He almost scored 500 goals. After a year of Barcelona’s youth Academy, La masia, Messi was finally enrolled in the Royal Spanish Football Federation (RFEF) in February 2002. During the 2003-04 season, his fourth with Barcelona, Messi rapidly progressed through the club’s ranks, debuting for a record five teams in single campaign. Messi made his first team debut at the age of 16 years on 16 November 2003. As during the 2004-05 season, Messi was a guaranteed starter for the B team, playing 17 games through out the campaign. In 2004-05 season Messi, then 17 became the youngest official player and goal scorer in the spanish la liga. He was strong well balanced and versatile on the field. Naturally left footed, quick, and precise in control of the ball. Messi’s play continued to rapidly improve over the years and by 2008 he was one of the most dominant players in the world, finishing second to Manchester United’s Cristiano Ronaldo in the voting for 2008 Fifa World player of the year. Messi led Barcelona to La liga and Champions league titles the following season , which helped him capture third consecutive world player of the year award. February 27, 2007 Messi played his 100th match for Barcelona against valencia CF in the champions league, Messi scored 6 goals and provided assist before his premature exit due to muscle tear. 2009 was a successful year for messi as he not only won his first Co padel Rey but also helped his team win La liga and Champions league. Before the year end , Barcelona had recorded another win at the 2009 club world cup beating Estudiantes. 2010 was a year of hat-trick for Messi as he scored against CD Tenerife, Valencia CF, Real Zaragoza, thus becoming the first Barcelona player to score back to back hat-tricks in La liga. Despite his fame he still maintains close connections with the people of Rosario, his hometown. He is also the international ambassador of Rosario. One of the highest paid footballer, he was the first player to exceed the €40 million bench mark.